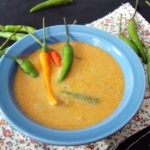 In Sri Lankan Cuisine we have a quite number of recipes to eat fresh veggie & fruits. 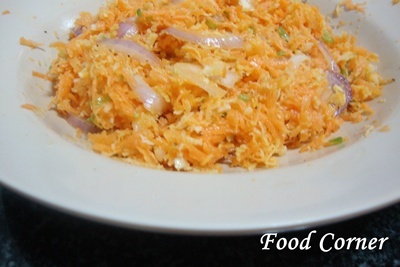 This grated carrot salad aka carrot sambal is also a popular Sri Lankan dish. 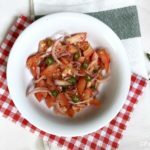 It is very easy to make & simple.Just grate fresh carrot,mix it with sliced onion,green chili and fresh coconut.Adjust salt and pepper together with lime juice.You’ll have a delicious Sri Lankan style carrot salad/carrot sambal. 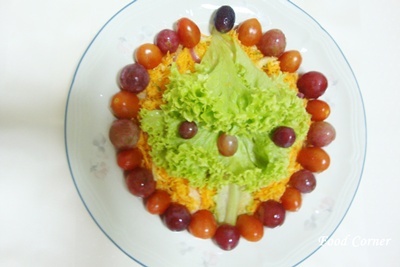 This is one of favourite dishes at our home.As it is healthy and also tasty,I frequently make this salad.This time,I used some lettuce, cherry tomatoes & grapes to garnish this salad. 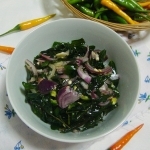 Here is the recipe for carrot sambal/Carrot salad. 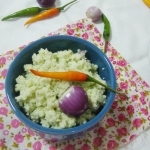 ½ cup of fresh grated coconut. Wash, peel & grate carrot. 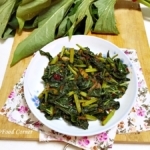 It is better to mix the salad just before the meal. 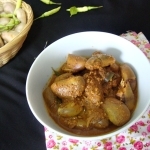 Add green chilies, sliced onion, salt, pepper & grated coconut to it. Add the lime juice & mix well. Check for salt & pepper & adjust if required. 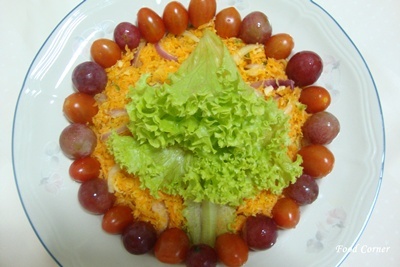 Now the basic carrot salad is ready to serve. As this is Christmas season, I thought of garnishing it with Christmas theme. I used a leaf of lettuce as a Christmas tree on the middle of the dish. Then decorated with cherry tomatoes & grapes. So I am going to share this with few ongoing events. Nice and healthy salad. Beautiful presentation too. I liked it. This looks delicious thanks for sending it to simply.food event. very colourful… healthy and delicious.. 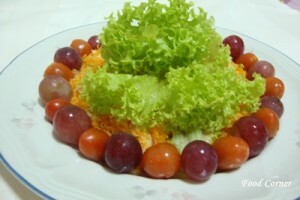 Healthy, yummy and colorful salad. Lovely presentation and colourful salad. Very healthy salad with a lovely presentation..
thanks so much for linking to my event! The salad sounds very interesting,will love to make it.Not one of those salad preparations that use a hundred ingredients,or rather exotic,difficult-to-find vegetables.Hehe.